After paying for this space and another, I realized that I have way too much space and bandwith than I'll ever need. Therefore, I'm willing to host small and medium sites for free for people without servers. These are basically common sense, but just written out in case of any problems. You must have some web design skills already. Examples of your work would be greatly appreciated. You must already know FTP. No typing in sticky caps or excessive netspeak. Your site should be active. If a fanlisting, you should follow thefanlistings.org rules and update at least every two months. If another type of site, please update at least that often as well. No illegal, adult, hate, etc content - nothing I can get in trouble for. Anything else is okay. You can have as many smaller websites hosted off the subdomain I give you as you have extra space for, but you must be the owner of them, and they must follow these rules as well. Your site must be either in English, Latin, or Chinese - or have a version in one of those languages. (Note: I can't read Chinese, so please don't email me in that, but I have many sources that can if absolutely necessary). No installing wierd programs that'll mess up my websites. No direct linking - don't use the space given to store photos or music to use elsewhere. You are responsible for making back-ups of your own data in case something goes wrong. Your own private folder/subdomain and ftp account. 5 MB of space (to start with - you may request more later). Email forwarder available by request. I currently have two domains (well, three, but the third's not available for hosting) for you two choose from. 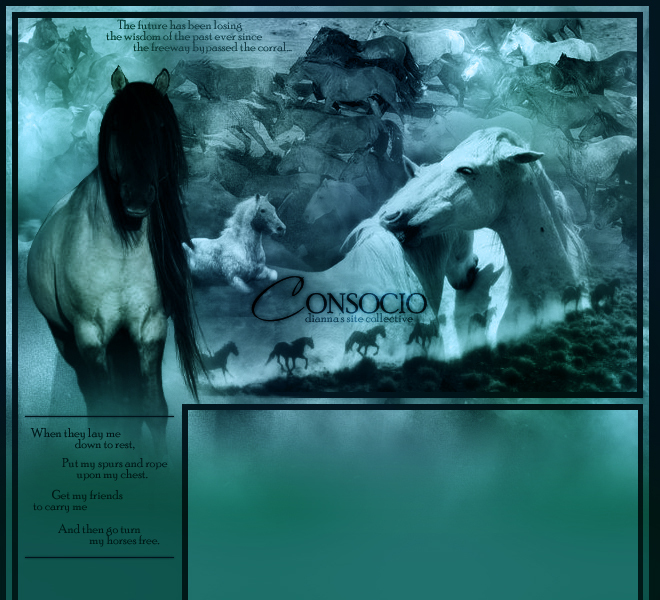 Beqanna.com - I'd prefer for this site's hostees to be horse rpgs or horse sites, as that's what Beqanna is. Why do you want me to host you?